How can a girl go wrong? Ill do this Dance of Life up right! 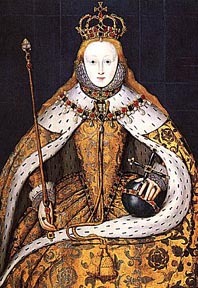 Queen Elizabeth I of England (1533-1603) at her coronation. 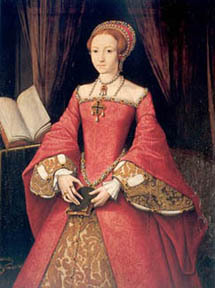 The ill-fated Anne Boleyns mere girl heir cannily endured many dangers under the reigns of her younger half-brother, Edward VI, and her older half-sister, Mary I (the infamous fanatical Catholic Bloody Mary), but outlived them both to ascend the throne in glory at age 25. She later became known as Elizabeth the Great, reigning considerably longer than both siblings put together over Englands greatest Golden Age. Jehanne dArc (1412-1431), whom the extremely fallible Roman Catholic Church first burned as a heretic, then 489 years later decided was a saint. One of Jehannes most heinous crimes, as charged, was having arrogated to herself the wearing of mens clothes as a soldier. 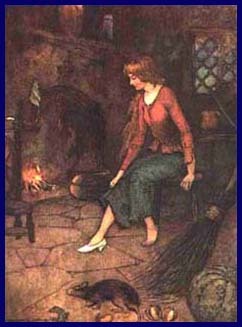 Only 19 at the time of her death, she severely frustrated the extended tribunal by brilliantly holding her own during many pages of testimony, and it was said after her horrific execution at the stake that her heart would not burn. 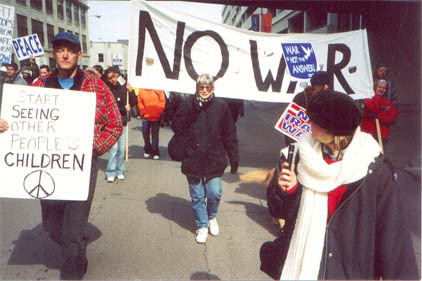 marching against the bombing in Iraq in March 2003. Lost in the Lady's Labyrinthine Lair? Visit the Site Map! 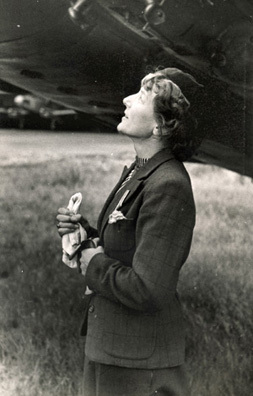 ©2002-2012 Photos and graphics are the property of Lady Isadora and may not be used without her permission. All Rights Reserved. Site by Unicorn Design.